So here we are our 11th Christmas in the USA and Kirsten is now 4.5 and starting to go with the flow! I’ve been thinking about what I expect out of her due to my upbringing and what I’m not seeing. I was born and raised in England to a British Father and a Norwegian Mother. Therefore, so not to lose any traditions I was raised with a bit of both. We still hung out our stockings for Father Christmas as he was known to us, but on Christmas Eve we would open gifts. To make it fair we opened those from our Norwegian relatives and no others. These included Mormor and Bestafar, as my Mother’s parents were known to us, and a number of Aunts and Uncles too. Food on Christmas Eve consisted of rice porridge in the middle of the day and whoever found the Almond would win the marzipan pig. In the evening we tended to have Salmon. My mother would go out and buy a whole salmon and cook for us. Typically we would go to a church service on Christmas Eve too to enjoy the children’s pageant and I loved the Christmas carols. We weren’t Church goers as such, but we went at least Christmas and Easter. I was christened as an infant, but in the Norwegian Seaman’s Church in London as were another 2 of my 3 siblings. None of us have ever been confirmed though. My youngest brother, Conrad, was christened in a small local church just outside of Henley on Thames in Harpsden. We lived in Henley until I was 10 and for a while I was actually a member of the Church choir so I did attend church on a regular basis. In 1982 we moved to Letchworth, Hertfordshire, where my Mother again signed me up for the church choir in St Paul’s Church. This time the older of my 2 brothers, Magnus, who is 18 months younger than me, was also signed up. We stayed in the choir for a number of years. I worked my way up from the light blue ribbon to a dark blue ribbon, but then had enough of attending Church. It became something I had to do rather than something to do and by now I was in my early teens. I attended Sunday school for a little while, but then that stopped. You are probably wondering what has brought this all on. 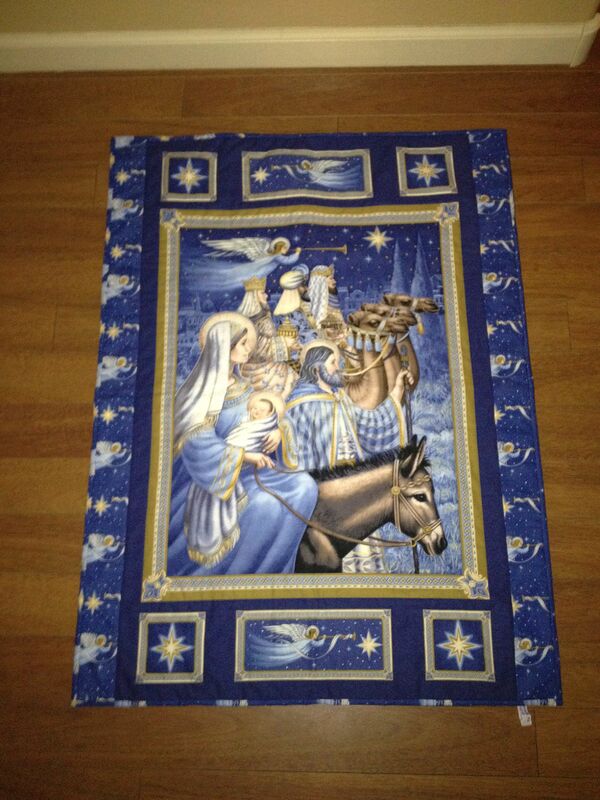 One of the gifts I have made for Christmas was using a panel of fabric that I had purchased a few years back portraying Mary and Joseph with Jesus on the donkey. 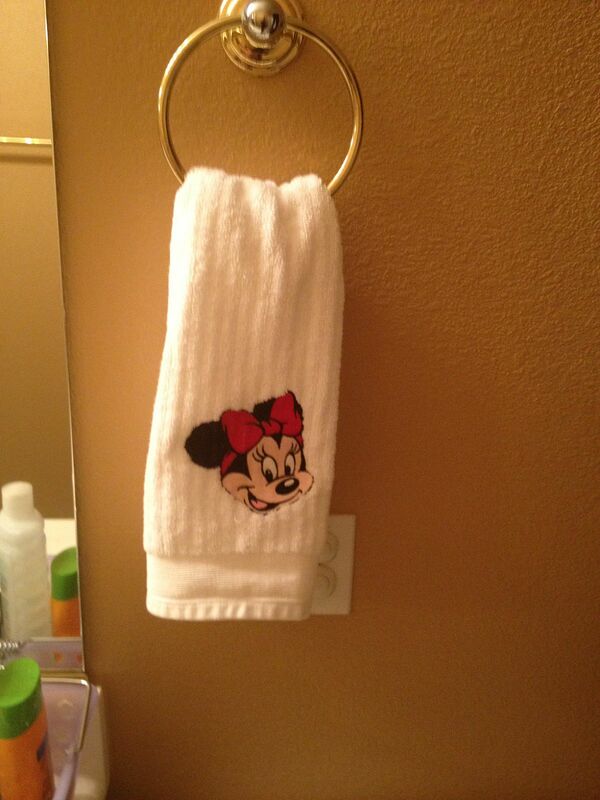 I showed it to Kirsten and she didn’t know what it was. Simultaneously friends back in England were going to school to see the end of school productions of the Nativity and I realised I was missing out on this and the singing of carols. I have to admit, I’m not sure what I believe in. I think it is a mixture of both the scientific and the religious but for me that is not enough of a reason to attend church. Sorry, I don’t mean to offend anyone. For the same reason we have not had Kirsten christened. I have mentioned to John that I am considering going to Church as much as anything because I want Kirsten to at least know what is out there. In February Kirsten and I are going to visit our friends, the Kelly family, in Detroit. 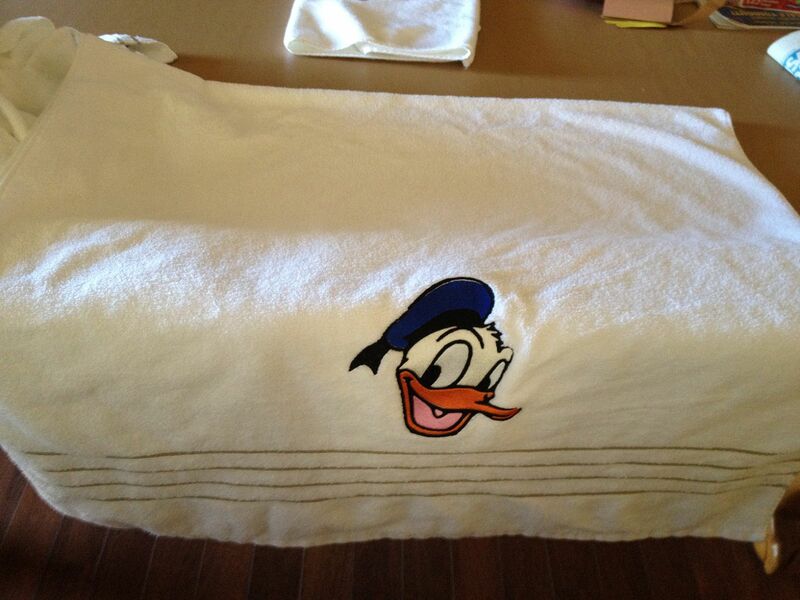 If you remember we met them whilst on our Disney cruise back in September. The husband, Steve, is actually the rector of St John’s Episcopal Church in Detroit. I have not attended Church since arriving in the US except for when we have been back in England over Christmas. I am hoping to attend Church with the family whilst we visit and see how it differs from Church of England. This is as close as I will find over here, and maybe after that I will start taking Kirsten. As she gets older it will then be her choice as to whether or not she wishes to attend to. 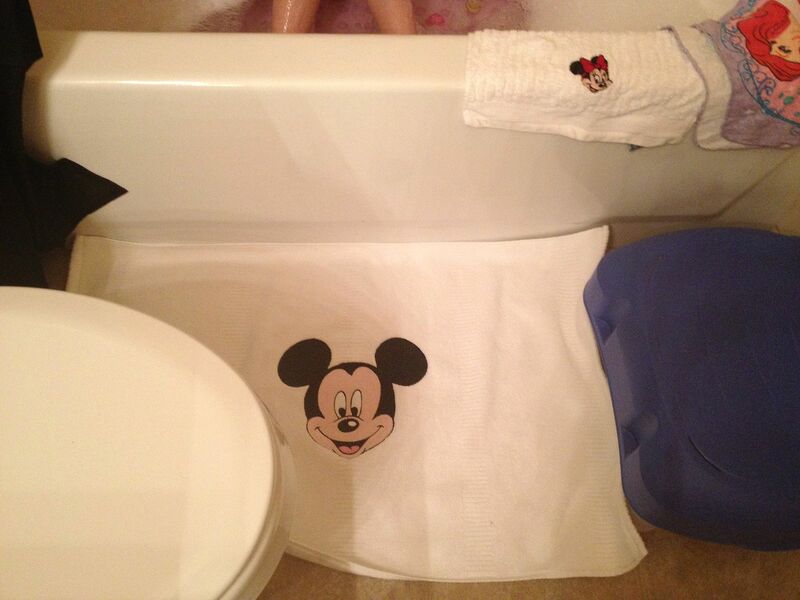 We have 3 bathrooms in this house, one of which is Kirsten’s and she shares with guests when they come to visit. Just before her 1st birthday (3.5 years ago) I themed it with yellow rubber ducks. Now at the age of 4.5 years I decided it was time for an overhaul especially as she’s asked us to update her bedroom (still to be done). 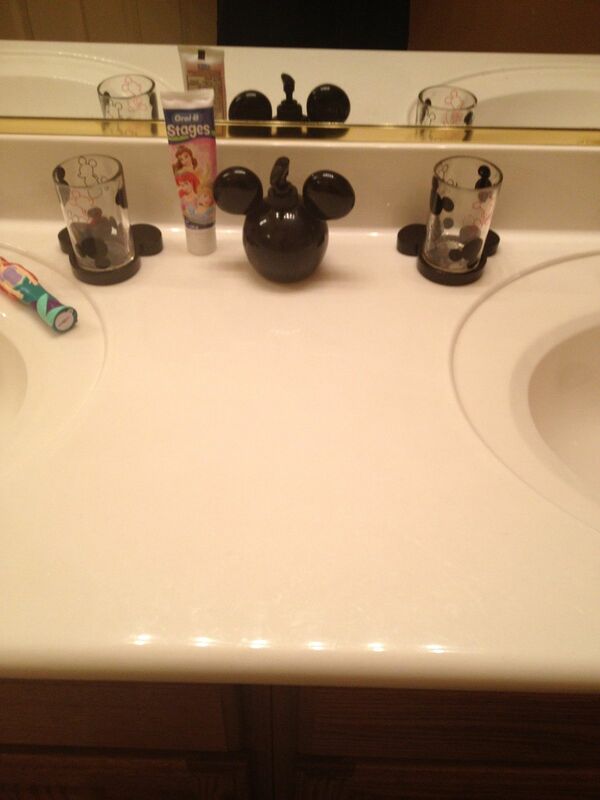 We have all been missing the Disney cruise so I decided on a Mickey theme. I didn’t discuss it with her although I did run it by John. I had seen that Target had a line of items, but of course, by the time I got round to buying them they were no longer in store but most of them were still online. 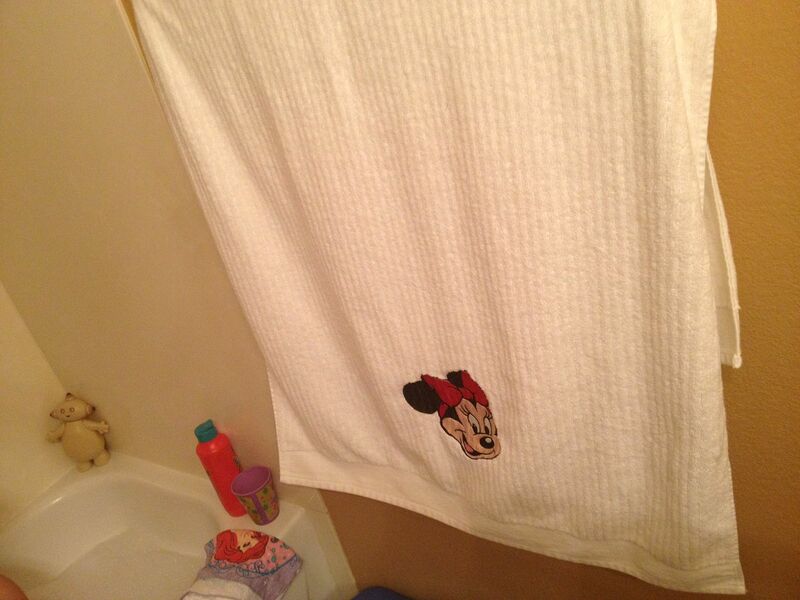 I didn’t think much of the quality of the towels and we prefer to use bath sheets so I went into Target and bought plain towels and sent them to Stacey. I have never met Stacey, but have grown to love her work. She is the lovely lady that not only made our Fish Extender, but also the Fish Extender gifts (reusable paper towels) that I gave out on the cruise. 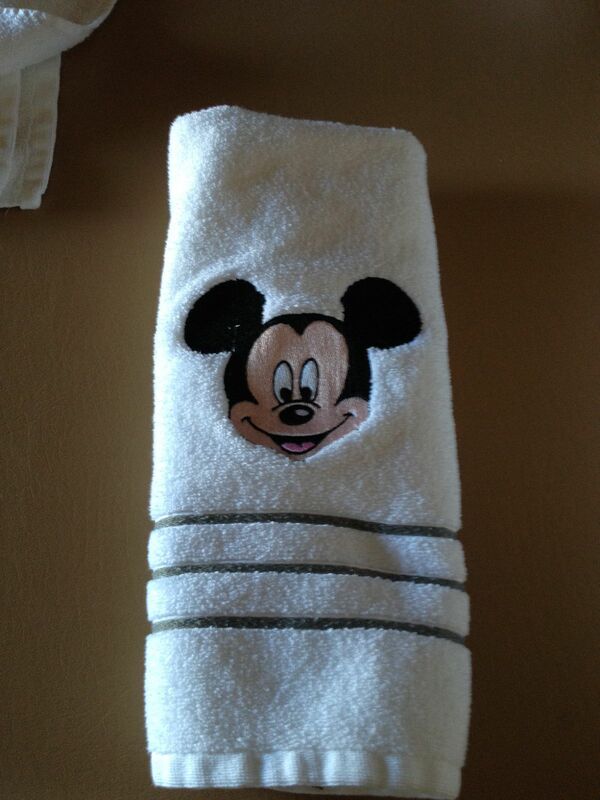 I contacted her again through Etsy and asked if she would be interested in helping me out and embroidering my towels. 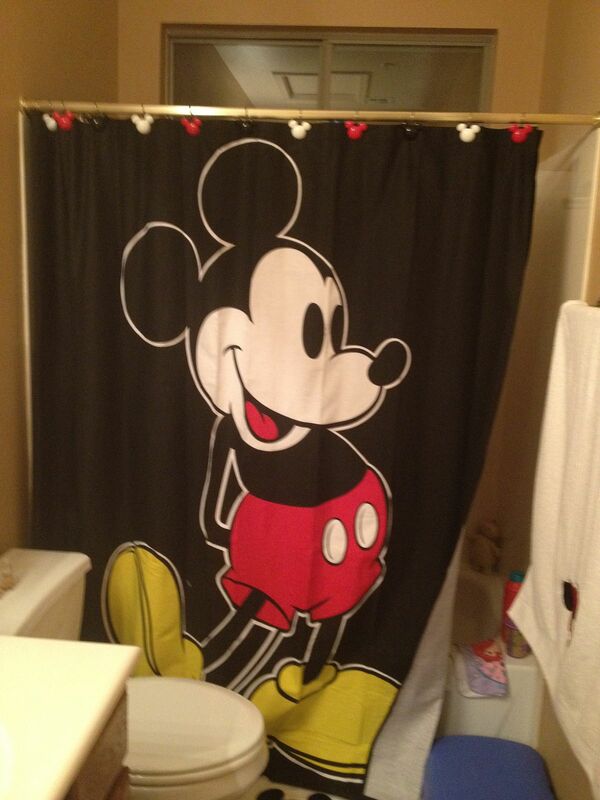 I bought 2 sets for Kirsten (2 bath sheets, 2 hand towels and 4 face cloths). I purchased 2 bath mats to be used in the bath room and then as we regularly have 2 guests at a time realised I would need a further 4 sets of towels. 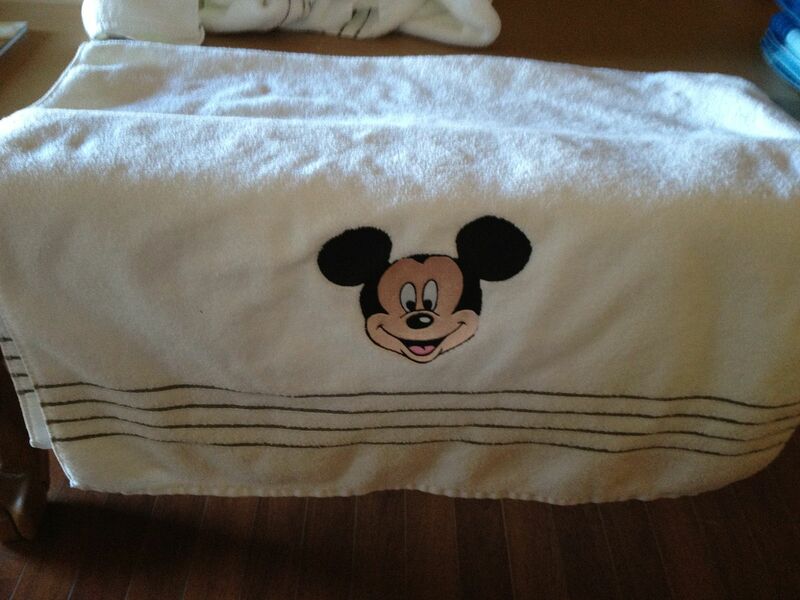 For each guest there are 2 bath sheets; 2 hand towels; 4 face cloths. 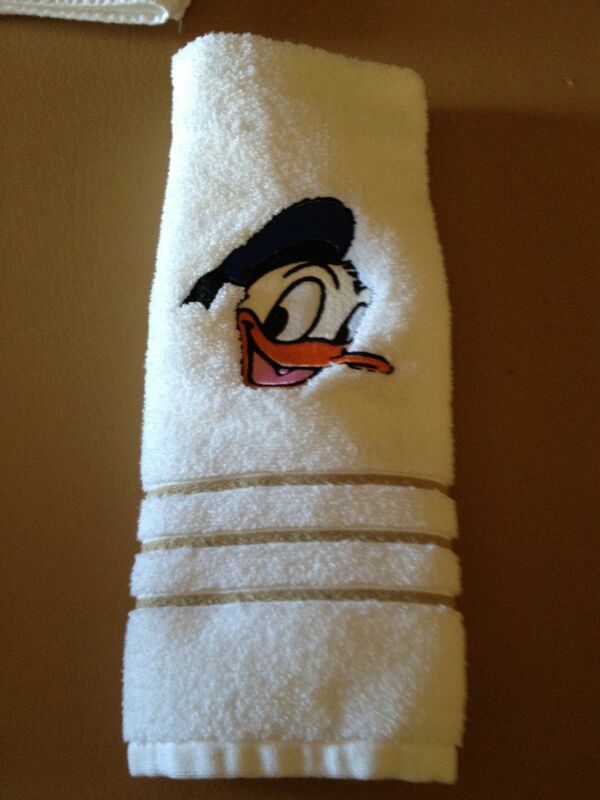 As Mickey is the theme 2 sets of guest towels are Mickey embroidered; 2 sets are Donald and then Kirsten’s towels are Minnie. 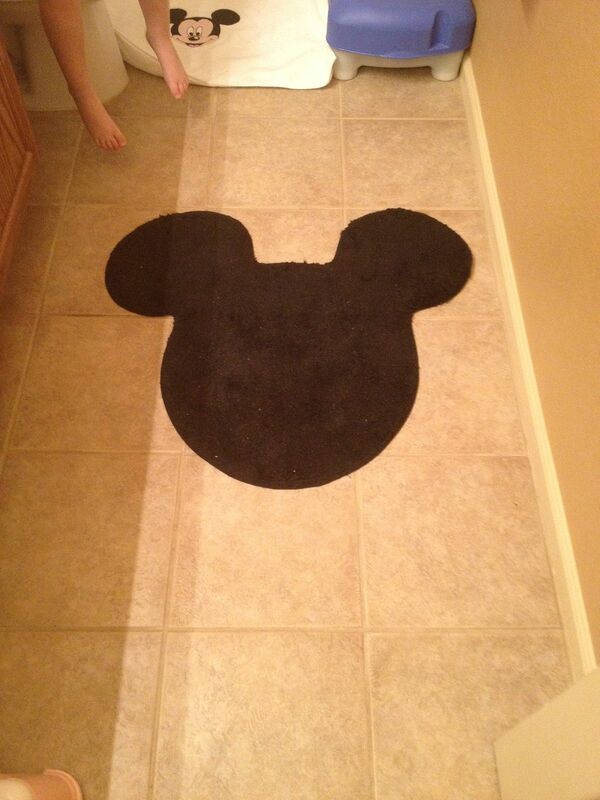 The two bath mats are Mickey Mouse too. Stacey did an amazing job. 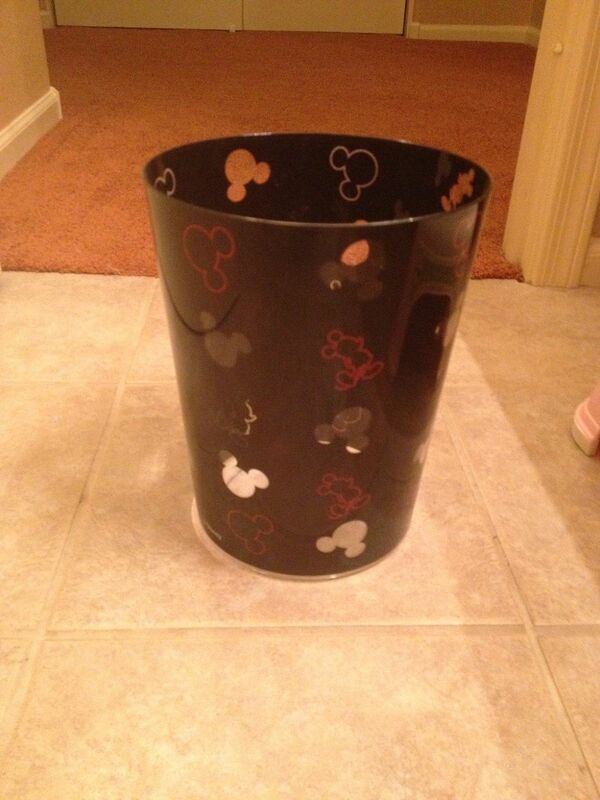 I didn’t want anything fancy and Stacey suggested some designs and we discussed size and I left the rest to her. 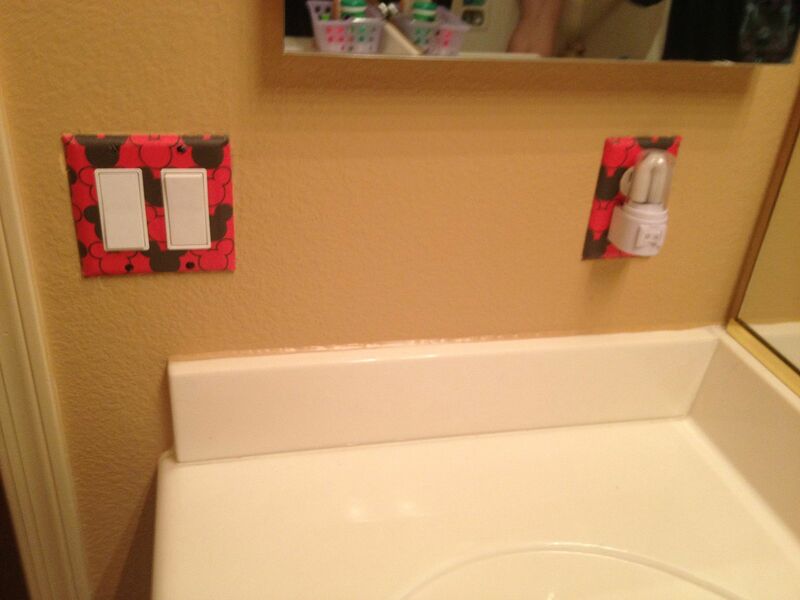 I had no wish to repaint the bathroom and didn’t really want to put anything on the walls, but found some wonderful decoupage switch plates on Ebay. 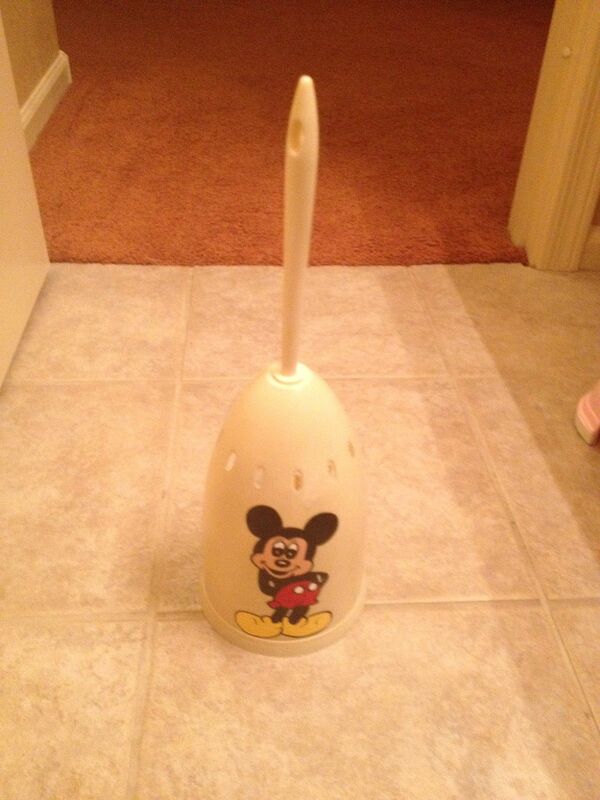 Last, but not least I even found someone on Ebay that made toilet brushes with Mickey Mouse on. You are currently browsing the John and Sigrid's blog blog archives for December, 2011.